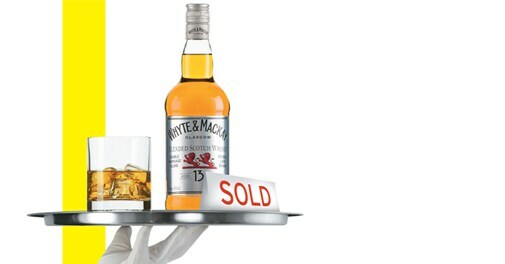 Why the sale of Whyte & Mackay by United Spirits makes business sense. On May 9, the country's largest alcoholic beverage company United Spirits Ltd (USL) announced the sale of its Whyte & Mackay (W&M) Scotch whisky unit to Philippines-based Emperador Inc for 430 million pounds. It seems that the decision has not gone down well with the investor community (its stock has traded down since the announcement), but a closer look at the deal shows that it's beneficial for USL. To begin with, the sale of W&M will help USL pare its debt and hence the interest outgo. As on December 31, 2013, USL's total debt stood at Rs 7,793 crore, of which Rs 3,267 crore belonged to its overseas arm USL Holdings (UK). "W&M sale will reduce interest cost in the range of Rs 130-150 crore annually. Also, it will bring down the inventory level for USL thereby improving the working capital cycle," say analysts at ICICI Securities. The sale of W&M became necessary after world whisky leader Diageo Plc took a controlling stake in USL. UK's Office of Fair Trade said that Diageo's Bell's brand competes with W&M's whisky and ruled that the ownership of both the brands by the same group would stifle competition. It is expected that with the sale of W&M, USL can concentrate on the fast-growing Indian made foreign liquor (IMFL) market - it grew at a 11 per cent compounde annual growth rate (CAGR), in volume terms, between 2004/05 and 2012/13. Favourable demographics and higher disposable incomes are likely to grow the per capita consumption of IMFL from around 2 litres to 3 litres per annum over the next few years, according to ICICI Securities. USL, which has some 140 brands, will be a clear gainer. The sale of W&M is still not complete as it requires approvals from the Indian and UK regulatory authorities and USL shareholders. Meanwhile, some investors are unhappy with the price at which W&M has been sold given that the brand was bought by USL for »595 million in 2007. In July, 2013 Diageo had completed its takeover of USL. United Breweries (Holdings) Ltd (UBHL) and other promoter companies sold a 14.98 per cent stake in USL for 344.19 million pounds. Diageo, a 28.8 per cent stakeholder of USL now, has since been battling the lenders of UB Group in Indian courts. "To some extent, the deal hinges on approvals from both regulators and judiciary," says Gautam Duggad, analyst at Motilal Oswal Securities.